What could these two companies possibly have in common? As it turns out, they are both seizing business opportunities associated with addressing environmental challenges. Their customers are demanding environmental services and their employees are demanding corporate environmental responsibility. Doing right by the environment, in other words, complements their business operations and strategic objectives. For ecobeco, environmentalism is foundational to their business model. Their DNA is based on “whole home” people- and planet-friendly residential improvements. 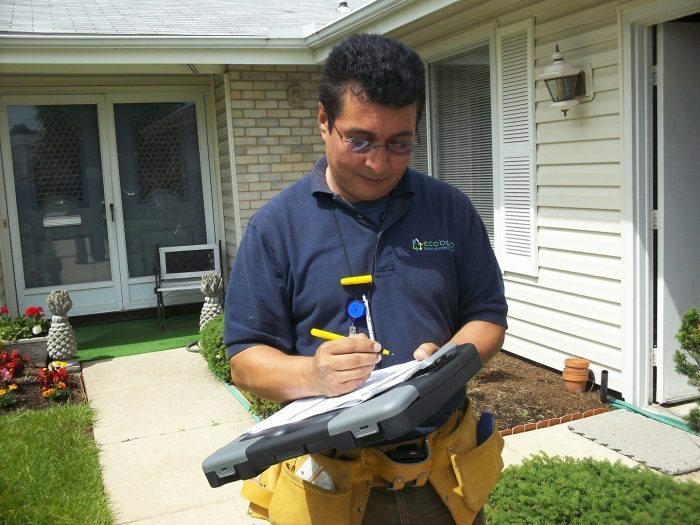 One of the energy efficiency services offered by ecobeco is the Quick Home Energy Checkup, helping residents reduce energy consumption. Their company provides clients with LED light bulbs, low-flow showerheads, faucet aerators, and advice on other energy-saving measures, all of which reduce power usage. In short, ecobeco’s business model is premised on helping residents do their part to protect the environment while also reducing their home energy bills. As environmental awareness increases, so does the company’s bottom line. AECOM – a global network of experts working with clients, communities and colleagues to develop and implement innovative solutions to the world’s most complex challenges – have over 500 employees working in its Montgomery County office. Ranked as the #1 green design company in the United States by Engineering News-Record and with decades of experience designing and implementing clean water, renewable energy and environmental restoration projects, AECOM has seen a marked increase in demand for energy efficiency and sustainability services. “We don’t make trinkets – we solve our customers’ problems. Our customers are demanding an increased focus on sustainability.” says Ida Namur, an AECOM manager focused on power, energy and sustainability in the DC Metro area. Offering environmental and energy efficient solutions to clients is one thing. But, both companies say that it’s essential to practice what they preach. Making their own businesses more sustainable is the right thing to do, but it’s also what their employees increasingly expect. Studies indicate that aligning employee values with business operations enhances employee morale, productivity and retention. Millennials, who account for the largest percentage of the U.S. workforce, value purpose in their jobs. According to the Deloitte Millennial Survey 2017, 86% believe the success of a business should be measured in terms of more than just its financial performance. In addition, employees empowered to positively impact their workplace and society show greater company loyalty. Brian Toll, President of ecobeco, echoes these findings. His staff were the ones who sought Green Business Certification. “[They] realized we were close to meeting the requirements and someone else wanted to take it to the next level,” he says. AECOM also recognized that Millennial employees expect companies to be more responsible to the environment and the community in which they are based. “In order to attract the best talent, we have to respond to what they are asking us to do,” Namur says, adding that employee engagement around sustainability helps them stay true to their values. At AECOM, these initiatives are extensive and fun. They have an in-house committee that focuses on green office initiatives, such as a “mug shot” campaign to encourage workers to bring in weird or ugly mugs so fewer office paper cups are used and asking colleagues to bring in old home electronics for recycling. One of their most successful initiatives was the Earth Day Scavenger Hunt that was put together for Earth Day to help illustrate how the company greens its day-to-day operations, so employees can see the sustainability projects the company uses for clients and in their building. The hunt featured a nine-station “to-find” list, filled with things employees see and experience every day but might not know are energy-saving measures – like bathroom low-flow faucets, recycled ceiling tiles, a scrap paper and ink cartridge recycling system and the building’s landscape irrigation system. The office green team also wanted to engage AECOM employees so that they could shape and be active participants in the company’s sustainability efforts. Namur and her team surveyed employees around sustainability attitudes at work and elicited suggestions for improvement. The findings, which were shared with staff on Earth Day, set a baseline for future surveys and helped prioritize next steps and guide implementation teams. “The survey responses demonstrated our colleagues’ commitment to sustainability and also showed us where we have room for improvement,” Namur says. Interested in learning more about the certification process? 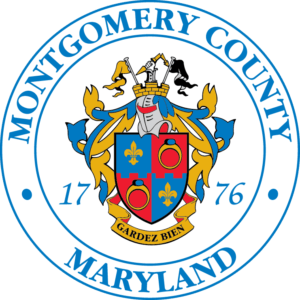 Visit mcgreenbiz.org , or contact Douglas Weisburger, at douglas.weisburger@montgomerycountymd.gov.